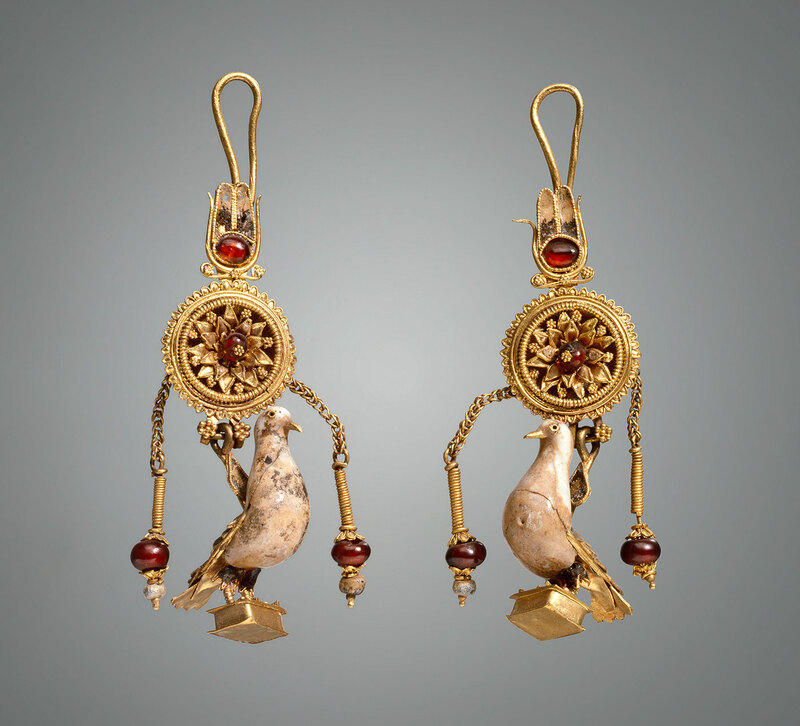 Earrings with pendants in the form of a dove. 2nd c. BC. Gold, hessonite, glass. Height 6.3/6.5 cm. Credit: State Hermitage Museum, St Petersburg. “The State Hermitage Museum: Gateway to History” has opened its gates in the Byzantine and Christian Museum of Athens last week. The aim of the exhibition is to introduce the Greek audience to a period of Art History from the Rennaisance (15th century) until today. Its concept revolves around the Hermitage collections and the big collectors, the tsars of the Romanov Dynasty. The exhibition presents archaeological artefacts and works of art, paintings, minor arts objects and sculptures representative of the Russian museum’s collections, spanning from the 5th c. BC to the 20th century. The exhibition will run through February 26, 2017. The exhibition is divided in two sections. The first, presenting minor arts and personal objects of the tsars, is hosted in the central building of the museum, while the second, which includes works of art from the Rennaissance until the 20th century is exhibited in the temporary exhibition hall of the Byzantine and Christian Museum. The Hermitage holds one of the largest collections of western European painting and sculpture of later years from the Renaissance to the 20th century. The establishment of the collection has its roots in the reign of Peter the Great (1672–1725) who purchased works by Dutch and Flemish painters during his European tours. Catherine the Great (1729–1796) was responsible for the immense enrichment of the collection. Keeping up with the cultural policy of the rulers of Central Europe, Catherine, assisted by a large team of advisors, created a collection which towards the end of her life amounted to approximately four thousand paintings produced by the most important painters of the Italian, French, Flemish, and Dutch Renaissance, Baroque and Rococo. That same policy was followed to a greater or lesser extent by all the Czars until the last sovereign Nicholas II, thereby enhancing the imperial collections with later works and forming major unities of the art movements of the 19th and the 20th century. In the wake of the October Revolution in 1917 the Museum was nationalized following the nationalization of the great private collections of affluent Russian merchants, bourgeois and aristocrats, which thus enriched the Hermitage with a large number of works.